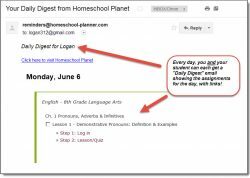 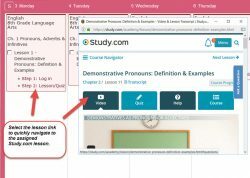 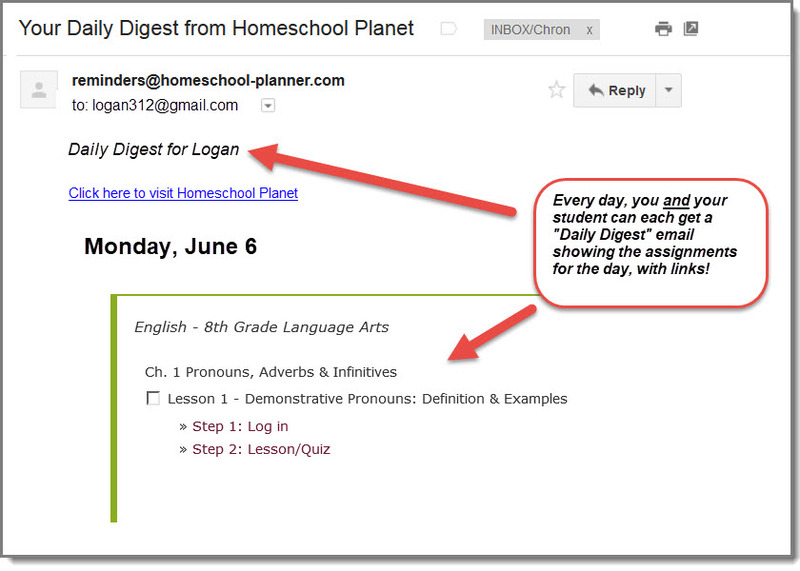 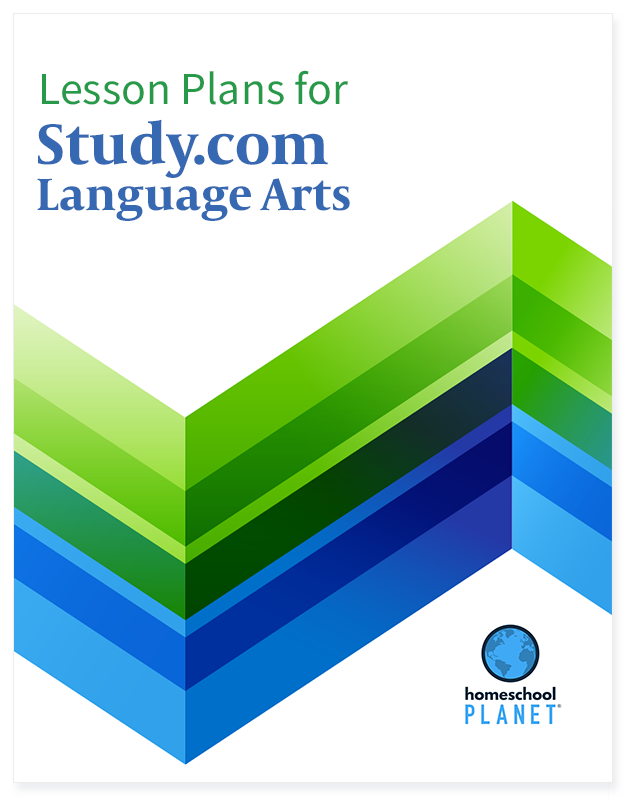 Take full advantage of your Study.com Premium Edition subscription with the official, Study.com-created lesson plans for use with Homeschool Planet. 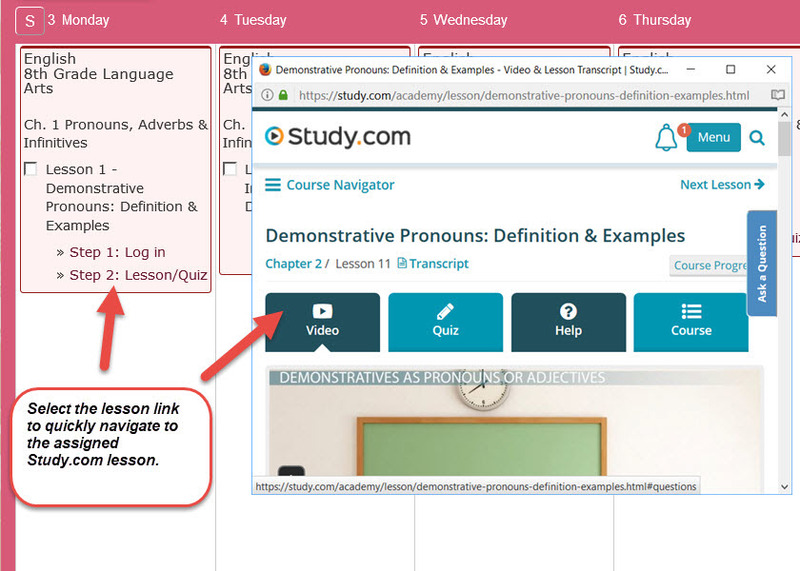 Each lesson plan includes a school year of assignments and practice tests, scheduled out for your student in the calendar, with convenient links for signing in and accessing each lesson and test. 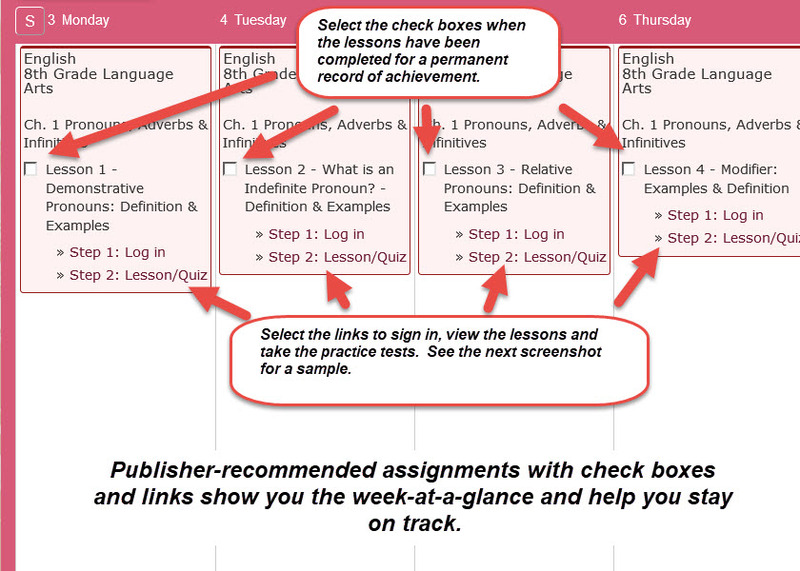 120-180 days of assignments, depending on the course, with convenient links for signing in and accessing each lesson and practice test. 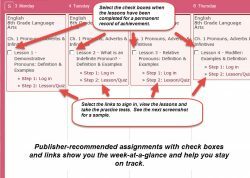 Lesson plan bundle includes ALL 7 lesson plans.